« Mini Double Chocolate Trifles…and Exciting News! I know it’s just the beginning of February, but one can hardly blame me for making summer food. Last week, I went out for my daily lunch-break walk (hey, it’s better than nothing!) with no coat. In February. In New York City. It was surreal, but absolutely amazing. And now, I can’t get this out of my head. It’s practically spring, which means it’s basically summer. Which means it’s time for frozen concoctions, grilled recipes, and corn. So what if I am totally jumping the gun here? 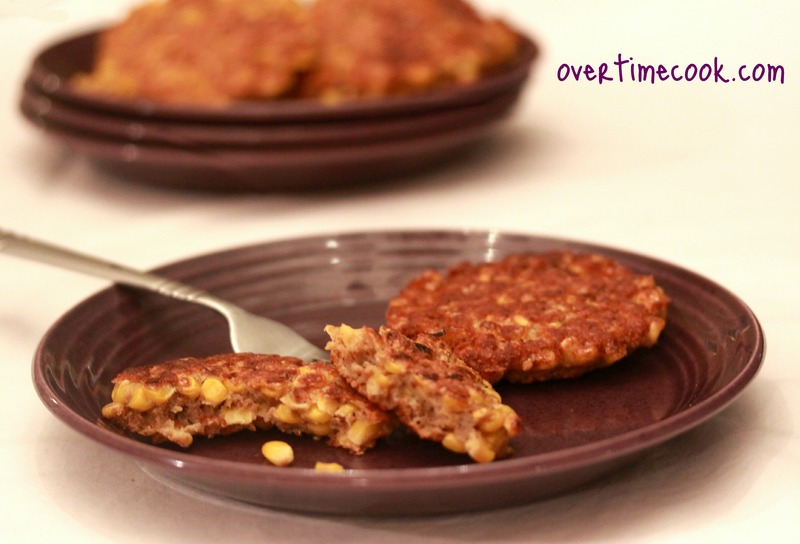 These fritters are made with a bag of frozen corn. (Shh. Don’t tell anyone.) And they’re super easy to make. Forget our friend the groundhog and his little prediction of doom. And don’t worry about summer being a ways off. Head out to the grocery store and pick up a bag of frozen corn kernels. Then pretend it’s summer. Or at least smile in satisfaction at how you are eating something delicious and good for you. Note: I used packaged Whole Wheat Matzah Ball mix in these. If you can’t get that, substitute 1/2 cup matzah meal or bread crumbs and a teaspoon of baking powder. Heat a frying pan over medium flame. Combine all ingredients in a mixing bowl. Stir well to combine. Pour a small amount of olive oil into the pan (or spray it well with Pam.) Form small patties with and place on the hot oil. Fry for a couple of minutes on each side, until golden brown. I actually made something similar to this last night without seeing this first. Great way to use matzo ball mix (though without it available near me, I’ll always use homemade breadcrumbs). Photos took terrific!! 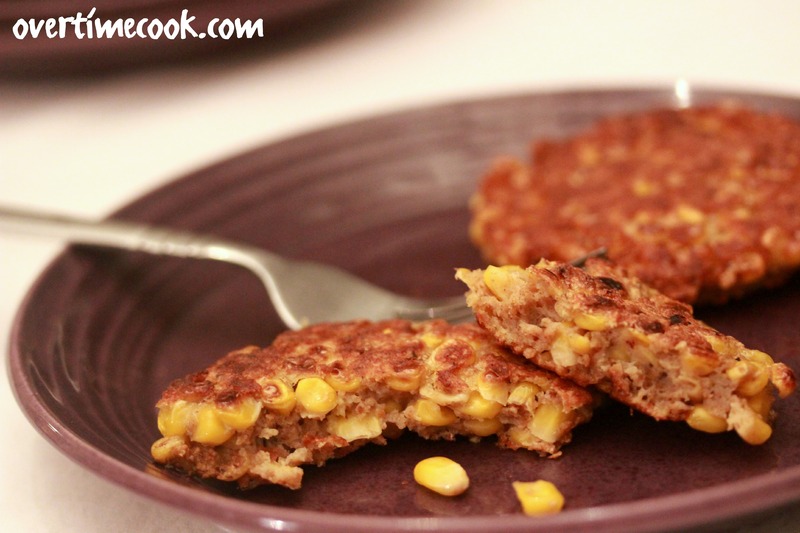 I love love love corn fritters. Never made them spiced though. Like the Snickerdoodles, I’ve never eaten a Corn Fritter either. I know, I’ve led a very sheltered culinary life! These look delicious and thank you for letting us know that we can use bread crumbs as a substitution for the Whole Wheat Matzah Ball mix. Can I use regular matzah ball mix? ?